The many local pre-nationalisation undertakings each tried to sell their wares through shops, commercial exhibitions or displays. This is a small selection of photos from our collection, dating from 1908 to Nationalisation in 1947. 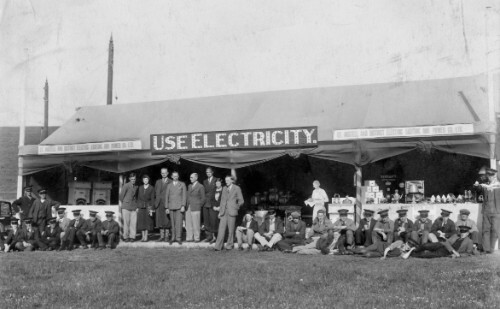 SWEHS 7.1.060.jpg – Date 1908 – Urban Electric Supply Company commercial stand at the Royal Cornwall Polytechnic Society show in Camborne. 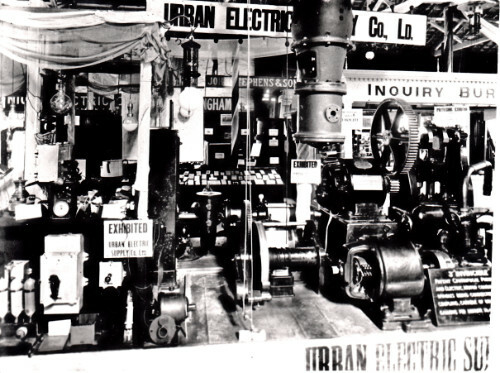 This was part of its drive to industrial customers. Cornwall, Camborne . 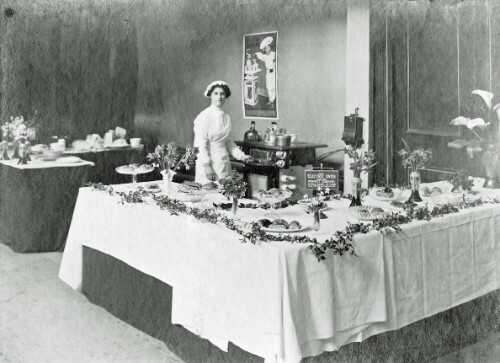 SWEHS 7.0.080a.jpg – Date 1914 – Camborne Chapel CEP display. Cornwall, Camborne. 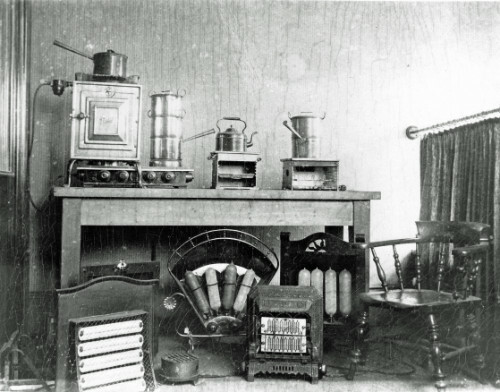 Original after repair..
SWEHS 17.0.035.jpg – Date 1917 – Early display of electrical appliances in the Showrooms. Somerset, Taunton . 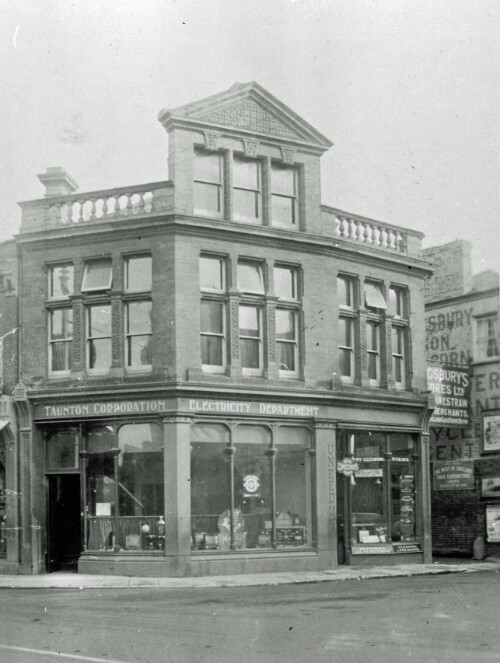 SWEHS 17.0.036.jpg – Date 1917 – Taunton Corporation Electricity Department showroom at North Street with St. James Street. Somerset, Taunton . SWEHS 7.0.073.jpg – Date c1920 – Royal Cornwall Show. Cornwall, St. Austell. 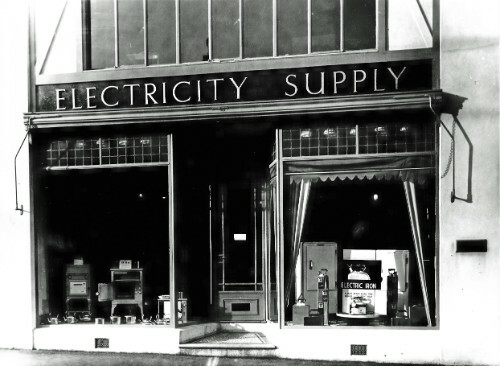 St. Austell and District Electric Lighting and Power Co. Ltd. Display boards..
SWEHS 18.1.017.jpg – Date 1928 – Newton Abbot showrooms at Queen Street/The Avenue. Devon, Newton Abbot . 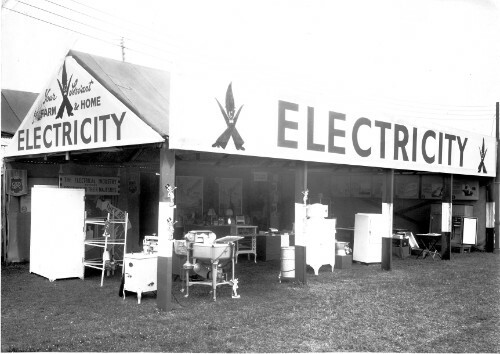 SWEHS 18.1.023.jpg – Date c1930 – Electricity display stand with range of period equipment. Devon, Torquay . 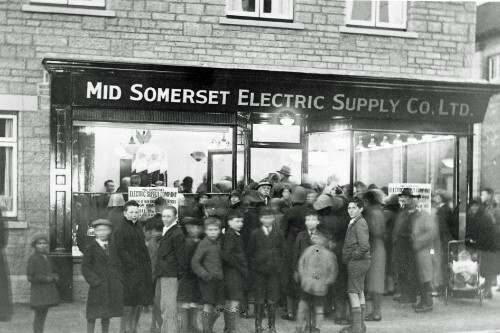 SWEHS 13.0.008.jpg – Date c1935 – Mid Somerset Electric Supply Co. Ltd. Showroom opening day. Unknown . 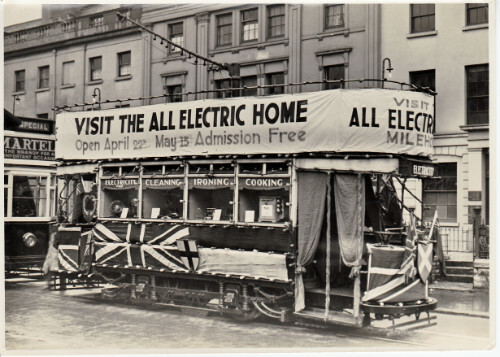 SWEHS 15.0.078.jpg – Date c1930s – Trams advertising All Electric Homes. Devon, Plymouth . 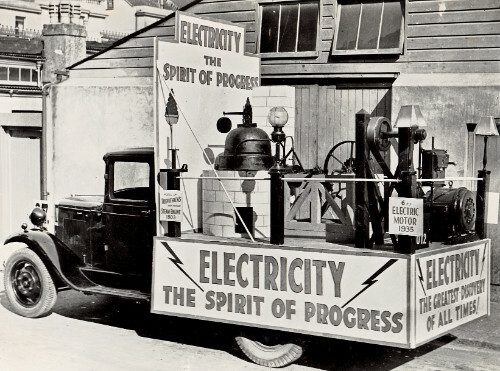 SWEHS 15.0.082.jpg – Date c1935 – Plymouth Corporation Electricity Department carnival float ‘Electricity the spirit of progress’. Devon, Plymouth . 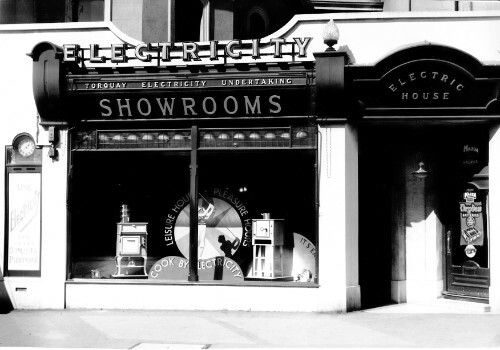 SWEHS 18.1.021.jpg – Date c1930s – Electricity display stand with range of period equipment. Devon, Torquay . 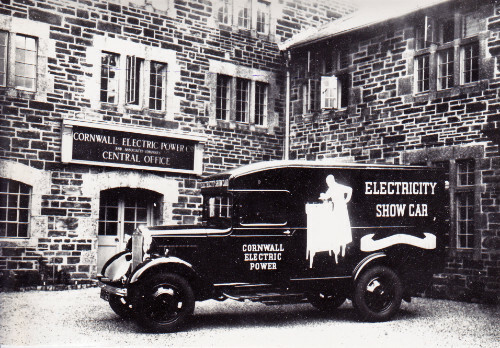 SWEHS 7.0.015.jpg – Date 1936 – Cornwall Electric Power Company show car at the Head Office of the company. Cornwall, Redruth, Carn Brea . 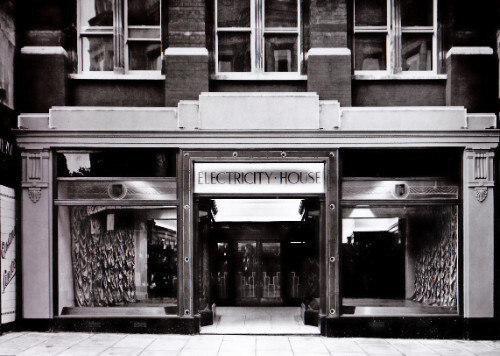 SWEHS 11.0.066.jpg – Date c1936 – Electricity House, Fore Street. Devon, Exeter . 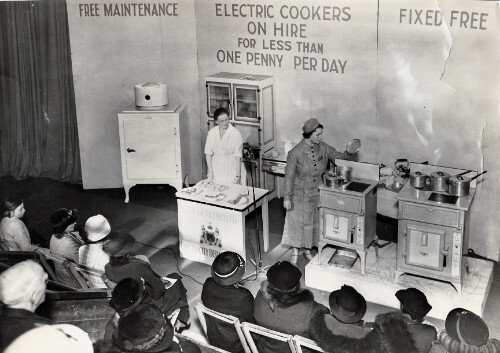 SWEHS 15.0.068.jpg – Date c1936 – Plymouth Corporation Electricity Department cookery demonstration. Devon, Plymouth . 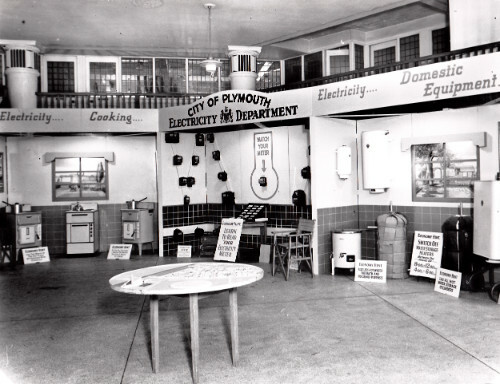 SWEHS 15.0.070.jpg – Date c1936 – Plymouth Corporation Electricity Department display of cooking and general domestic equipment. Devon, Plymouth . 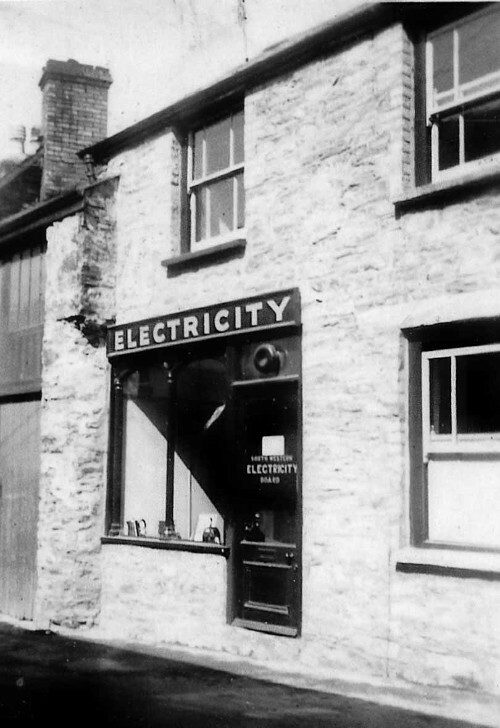 SWEHS 18.1.032.jpg – Date 1937 – Borough of Torquay Electricity Department Enquiry Bureau. Devon, Paignton . 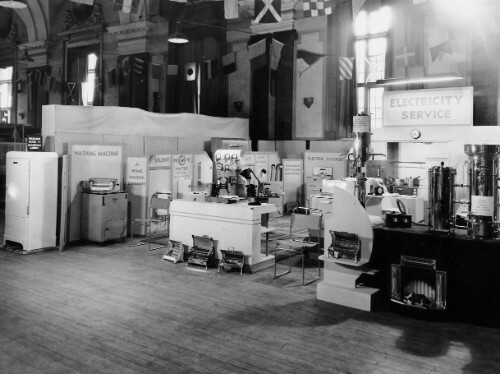 SWEHS 7.1.027.jpg – Date c1940 – Cornwall Electric Power Company ‘Electricity Supply’ show room. As well as customers these were often used by engineers and foremen for a quick telephone call to the Hayle Control Room or Carn Brea offices. Cornwall, Launceston . 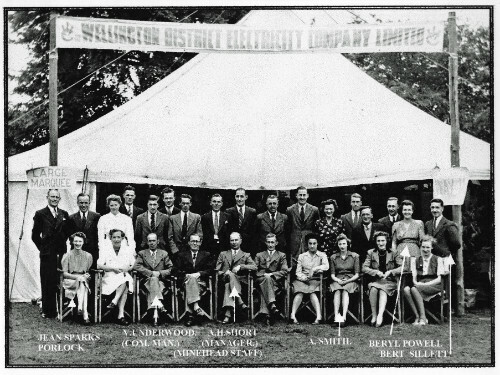 SWEHS 16.0.009.jpg – Date c1947 – Wellington District Electricity Company Limited staff. Somerset, Wellington . 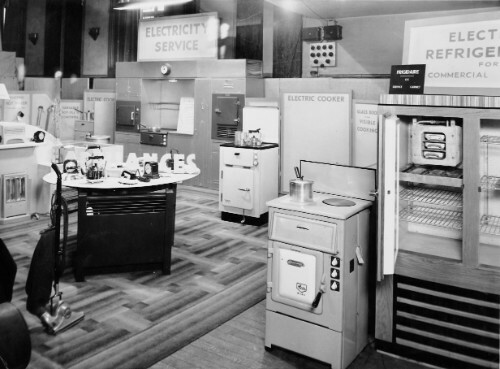 SWEHS 9.0.033.jpg – Date 1948 – Electricity service centre. Somerset, Dulverton .